"Under Construction. This home that offers both the functionality and the elegance that make a house a home. The oversized kitchen island overlooks both the family room and dining room combo. 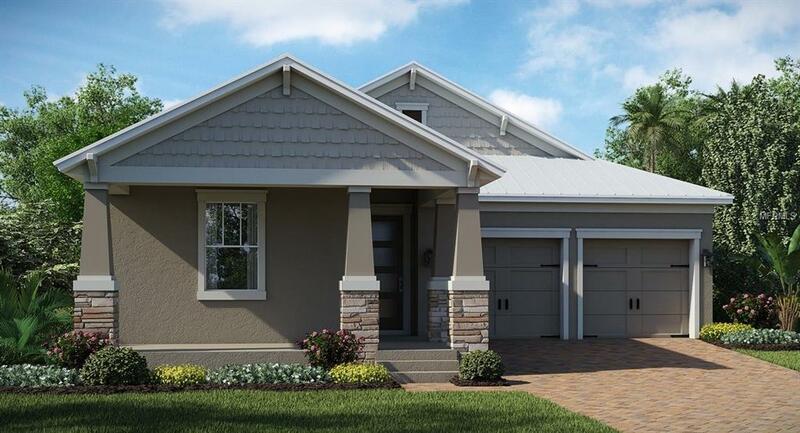 The Master retreat comes complete with large walk in closet along with a spa style master bath. There is a large foyer at the entry of the home where you can greet your guests with ease. Additional space includes a covered patio and welcoming foyer greets all guests and family members. This home also boasts four bedrooms, including a spacious master suite with an impressive closet, and three bathrooms. The master bathroom features a shower and a bathtub, plus his and hers sinks. This Ecosmart home has solar power to offset the electric bills & come fully connected with features like a Honeywell thermostat, Kevo lock and ring doorbell. Not to mention, remote blinds in the master and Lutron lights in the kitchen that are all verbally controlled through the Amazon Alexa. Don't Miss out on this Innovative home found in the Heart of horizon's West just minutes from the Town Center Village. Surrounded by Panther Lake Golf Course, this community is designed with an active lifestyle in mind. Golf views will be available for select homesites. With easy access to Walt Disney World, Universal Studios, Winter Garden Village, and more, its easy to see why this area is growing fast! At Innovation at Panther View Manors, nature, beauty and community have come together to create a lifestyle unlike any other.